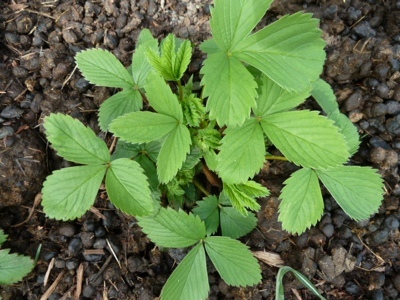 My Home and Garden: Woodland strawberries. This is a close up of my Aunt Helen's Muskoka strawberries. They were in her lawn. I think they are called Woodland Strawberries. Can anyone confirm that? I added some of my magical alpaca poop to them and they are already bigger than they got all of last year. Here's a close up. Whether its a close up of the strawberry or the poop...your call.